Smoke detectors are vital to a safe home. We provide information and inspection of your smoke detectors. We also provide new smoke detectors to elderly and low income homes. 38% of house fire fatalities occurred in homes with no smoke detectors. 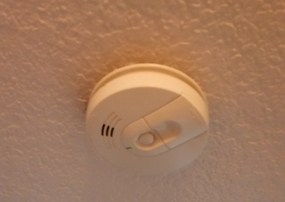 An additional 21% occurred in homes where the smoke detectors failed to operate. It is our goal to help make our resident's homes safe.